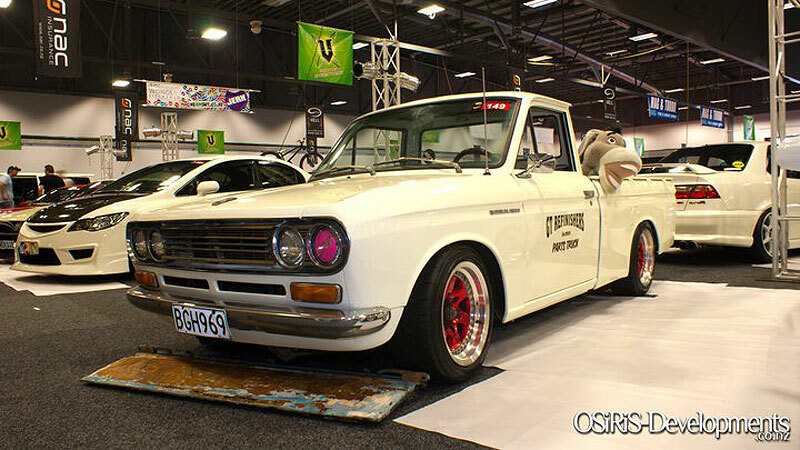 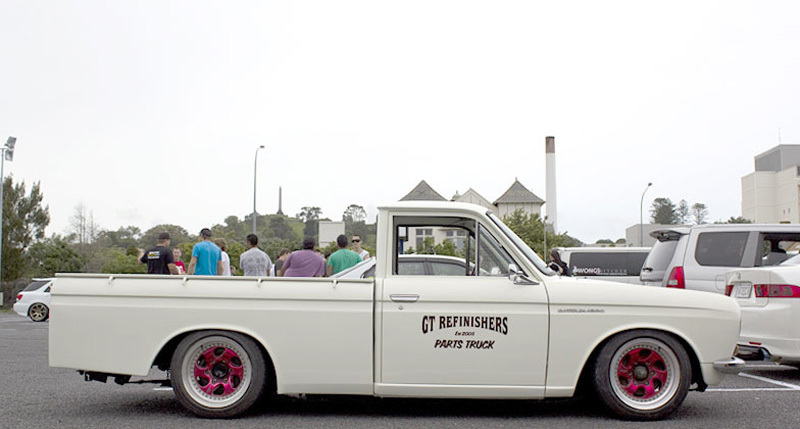 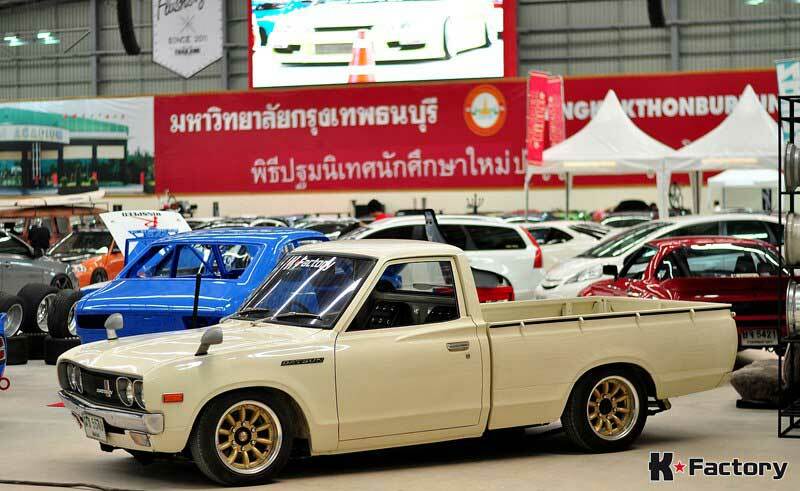 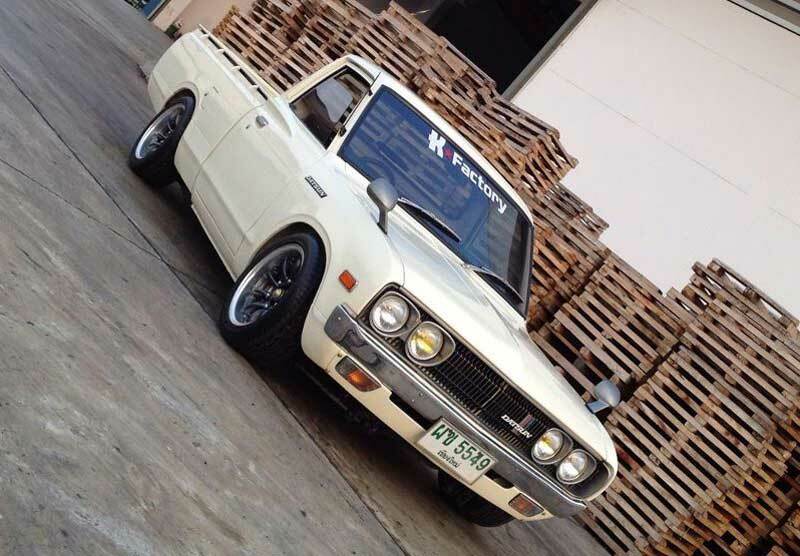 The SSR Interceptor are popular a option when it comes to old school 6 lug JDM Wheels, which makes them a sold match for this Datsun 520 Pickup. 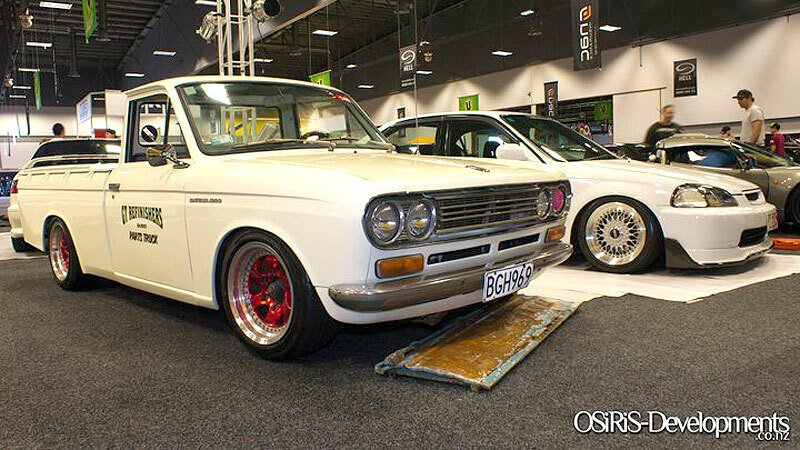 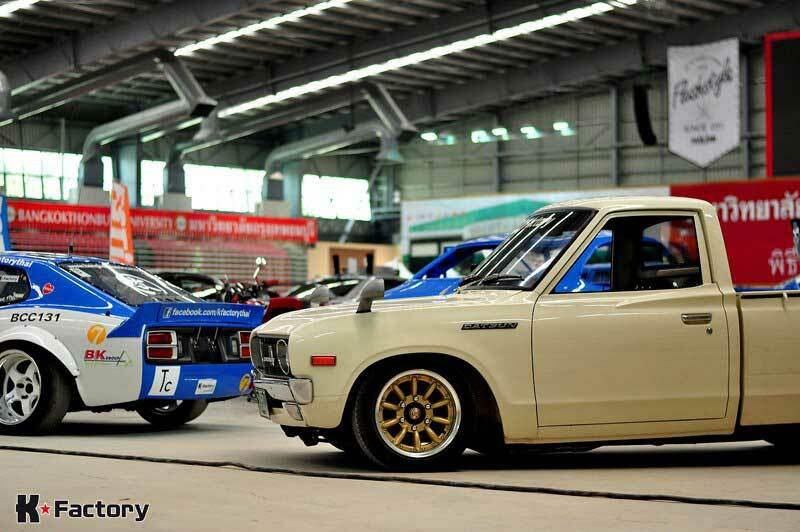 The SSR Interceptor features a classic 6 spoke style which slightly resembles the SSR Longchamp XR-4, but in 6 lug form. 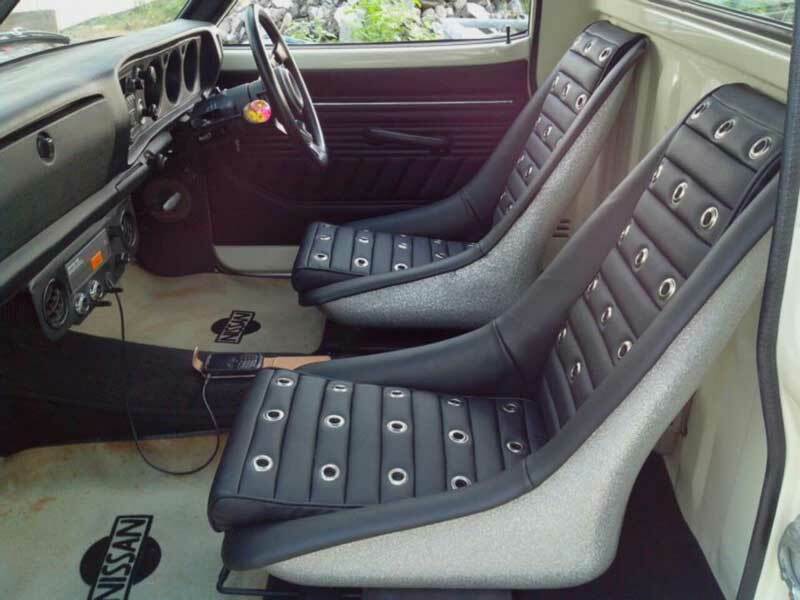 Three piece welded construction with sandwich mounted faces keep things together which almost makes the hardware decorational. 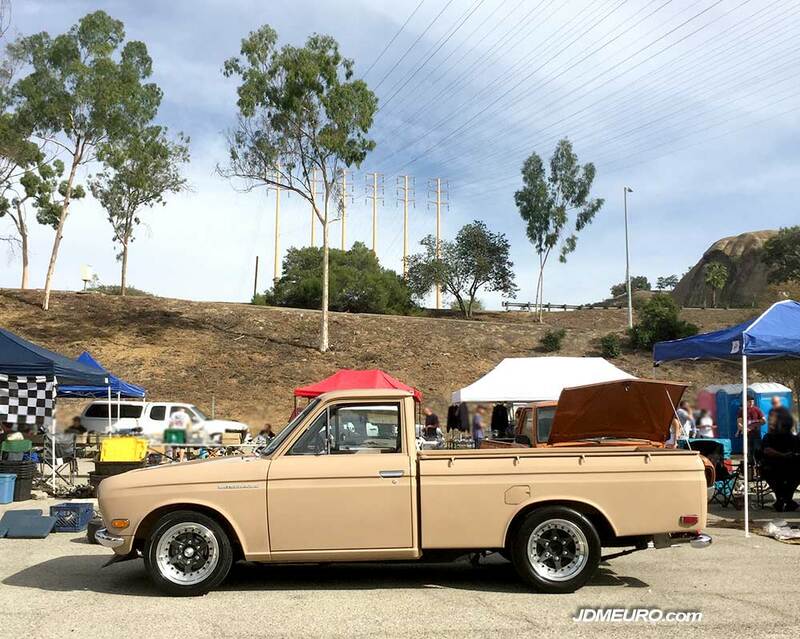 This Datsun 520 Pickup on was at the Datsun Swap Meet in Eagle Rock, CA. 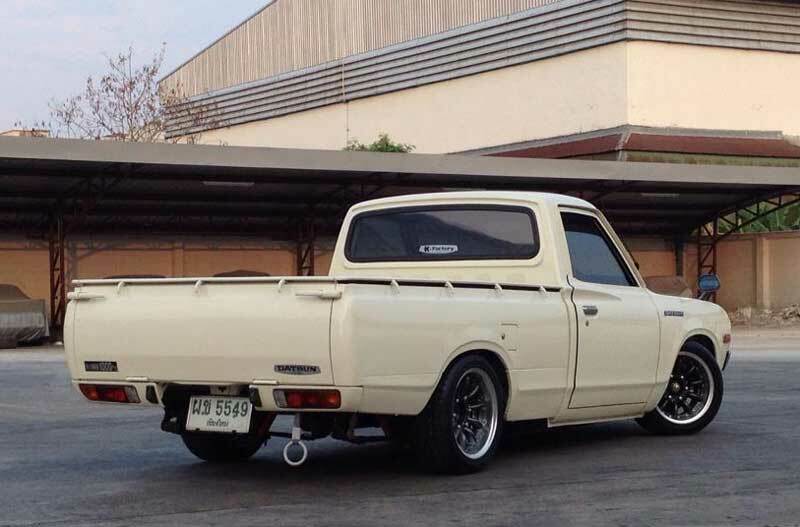 JDM 6 Lug Wheels are hard to find, especially ones that fit nicely on a 2wd truck, some nice Gold Banana Spoke Style JDM Wheels were thrown on this truck and looks awesome! 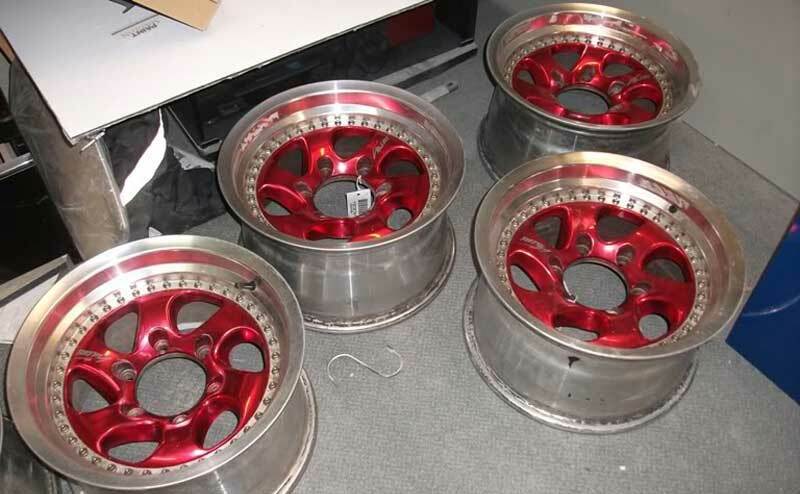 Anyone know what they are?